The ResponseNow Affiliate Program is the easiest way into the expanding medical alert industry. Combining your business’s web and physical store presence with our life-saving product gives your customers access to a life-saving medical alert device they can trust based on their existing relationship with your company. We’ll pay you up to $150 for each sale that originates from your business (more on how we do that below) and will provide initial marketing materials that are ready for display in your store. Demo units are also available for free for a limited time. Put simply: it’s easy, risk-free and a great way to compete with national chain stores who are already recommending various alarm services! 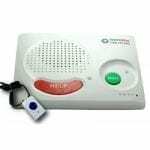 Conversations that you may be having now regarding medical alarm recommendations can start to earn you money. These systems help people maintain their independence and stay in their own home for longer, meaning you’re likelier to maintain their long-term business. At a minimum, your website will gain value through traffic and repeat visitors. If your customers choose not to order, you lose nothing. The fun part starts when they do start placing orders. From there, we’ll handle order fulfillment, billing and any customer service issues. Boom! Your business just added a free revenue stream. HOW DO AFFILIATES GET CREDITED FOR ORDERS? Once you’ve been accepted as an Affiliate you will be sent instructions that include your unique Affiliate URL along with web-ready images and descriptions for your website. Orders you take directly can either be submitted through your Affiliate URL later or sent to ResponseNow for commission, which will be paid monthly. You can login whenever you like to see how many paid referrals you have along with other statistics like page views. The Affiliate URL is what ties the order to your business. Orders placed outside of that URL can be retroactively assigned to an you at any point. Bottom line? You get paid for any and every order you drive through to ResponseNow. WHY SHOULD MY CUSTOMER CHOOSE RESPONSENOW? Our diverse product line means we’ve got a solution for everyone. Whether it’s a senior who wants protection when she drives to the store or someone who needs protection on a budget, ResponseNow has got them covered. With top-of-the-line equipment, expert-level monitoring, flexible pricing and outstanding customer service, we know how to serve our customers better than anyone. Our record speaks for itself - we’ve been doing this since 2001 with thousands of customers happily serviced and an A+ rating from the Better Business Bureau. Simply visit www.ResponseNow.com/Affiliate-Area to sign up today or call 866-795-4321.